Yeah with over two months of development, JA Simpli BETA version is available for download. 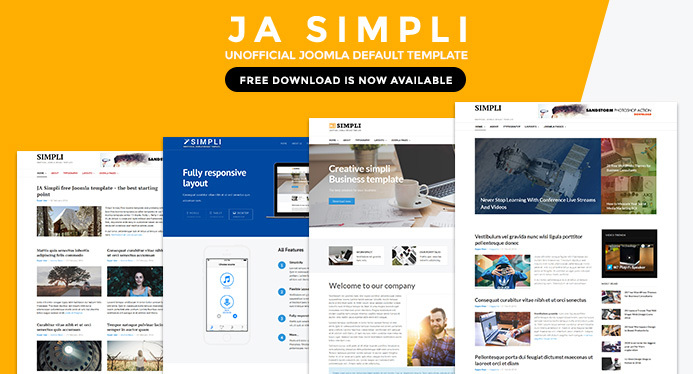 JA Simpli is a Free Joomla template developed on the lines of Joomla Default Templates with multiple layouts: layouts for Business, Corporate, Magazines and a Landing page and ultimate core features built-in the intuitive template control panel. JA Simpli beta free download is ready. 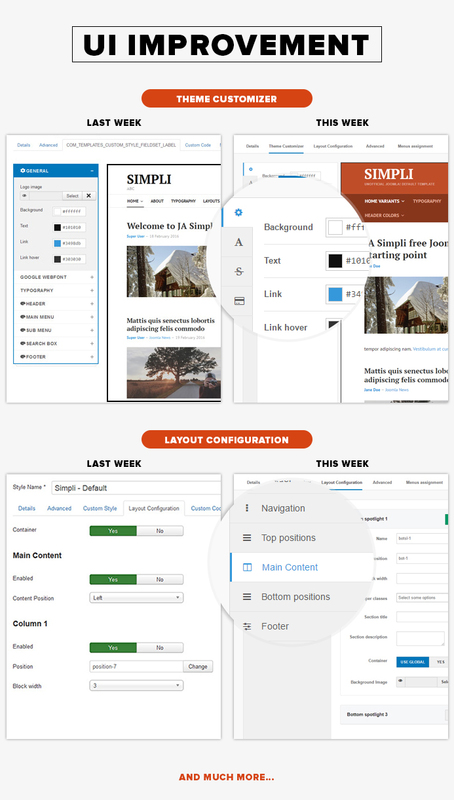 The template control panel is now re-structured by group parameters and collapse settings to save space and make it easier for users to work around. The style is also updated to make it clean and user friendly. check out the screenshots below to see the changes. 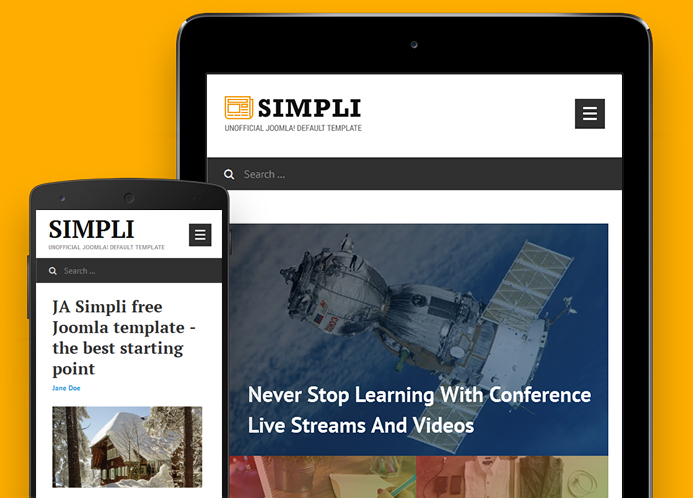 JA Simpli is destined to be a fully responsive template, every single element is designed to have outstanding look and feel in responsive layouts. The template is based on Bootstrap 2, means you can use Bootstrap markup to build content that looks good in responsive layouts. There are still few issues that we are debugging. Since this is beta version so not everything is perfect, feel free let us know if you find any issue by add new posts to JA Simpli Forum, we will cover the issues to fix for the stable version. This is a completely new features that allows you to edit images with great tool developed by Designbold team. Hover on any image in the template front-page and hit the button Design It, login with Facebook or Gmail account and you can re-design the image with supported tools. This feature can be tried out on our demo site also. Live edit the frontend images with DesignBold. Once done, you can hit the Preview button to see the change on template front-page. You can download the edited image to local or save it to your collection. You can use the upload option in the DesignBold interface to preview how your images will look like in the frontend. If it looks good in the preview, you can edit it with the multiple tools available and download the image, then manually update the designed image to your article. Should save you lots of time. NOTE : DesignBold option has been added very recently and we are working on the workflow. Expect better workflow and results in the coming weeks for this great tool. We are trying to get a set of free stock images that user can free use. Documentation - We just started on this. 3rd party extensions demo site - We would soon be starting on that. RTL layouts - these will be available in stable version. Forum : For bug reports, feature requests and support. 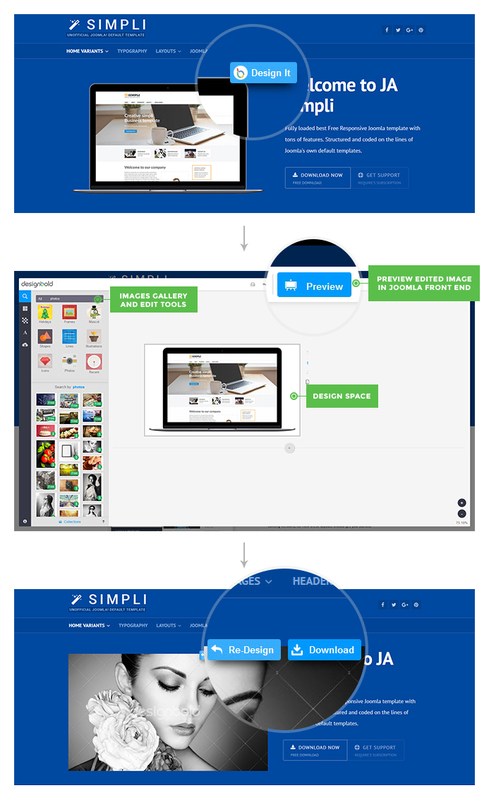 Downloads section : Download the quickstart or just the template.